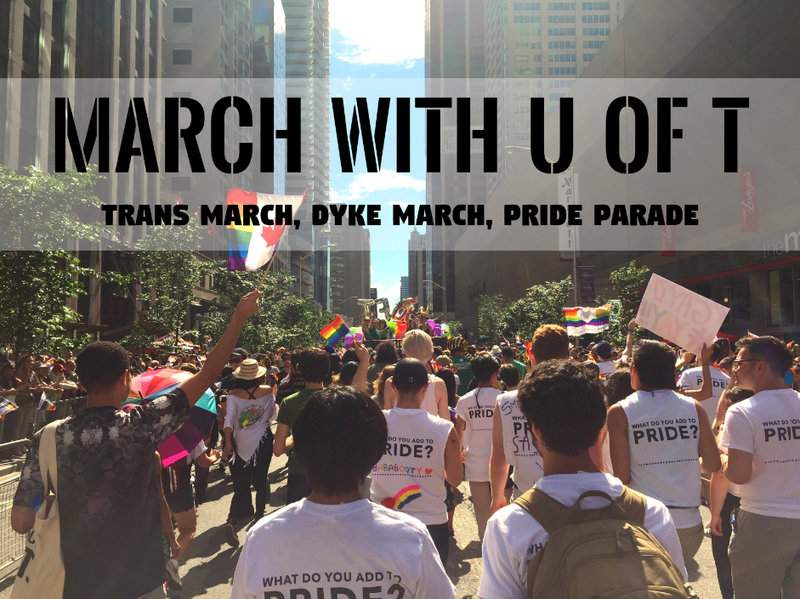 Join the U of T contingent in the 2018 Pride Parade! We will be meeting at 3:15 pm on Bloor Street at Ted Rogers Way. Find us in the “J 18” section. 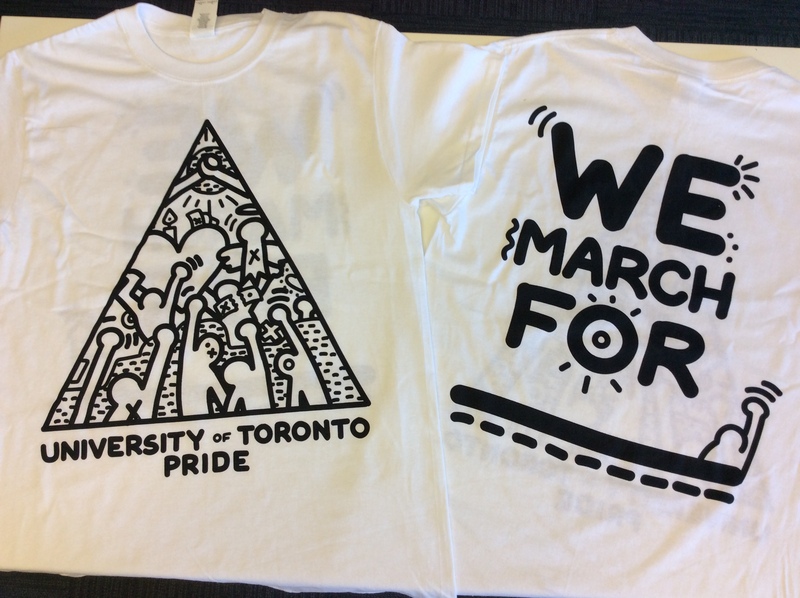 Look for our U of T Pride T-Shirts! Please note that Bloor Street and Yonge Street are fenced in on the day of the Pride Parade. If you need to cross the street you will have to use the PATH system and/ or go through the TTC stations. This will also make it difficult to get water or go to the washroom once you are lined up for the Parade. Please make sure to bring your own water bottle and stay hydrated throughout the day. And of course, be sure to wear comfortable shoes and lots of sunscreen. The SGDO is teaming up with LGBTOUT to feature Samba Elégua, a Toronto-based percussion group, on the LGBTOUT float! Shirts will be available at the SGDO Pride T-Shirt Painting Party. Extra t-shirts will be available at the Pride Parade on Sunday, June 24. Check out the full 2018 Pride Toronto Guide.